I hope everyone had a wonderful Christmas, Hanukkah or Kwanzaa. 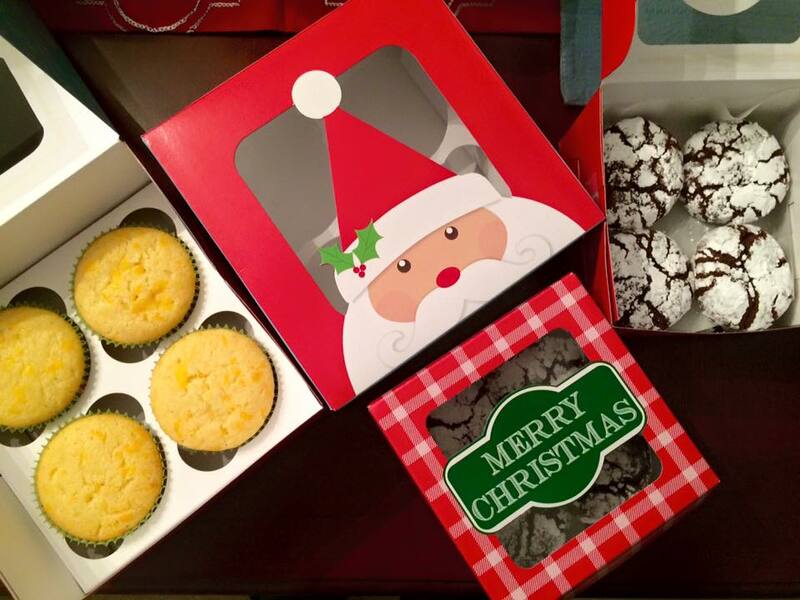 This year, I baked cupcakes and cookies and gave them to neighbors, family and friends. The warm weather causes a Cherry Blossom to bloom in December. This is the first time I've seen something like this after living in the DC area for 14 years. Kepi and I had a quiet and restful Christmas. We really enjoyed attending the evening service on Christmas Eve. With the unwinterlike 72-degree temperature on Christmas Day, we celebrated with a small dinner prepared by Kepi and spent the rest of the day watching Christmas movies. At this time of year when majority of the people are frantic and stressed about gifts, parties and social obligations, I prefer the quiet comfort of home and the presence as well as thoughts of people who really matter in my life. 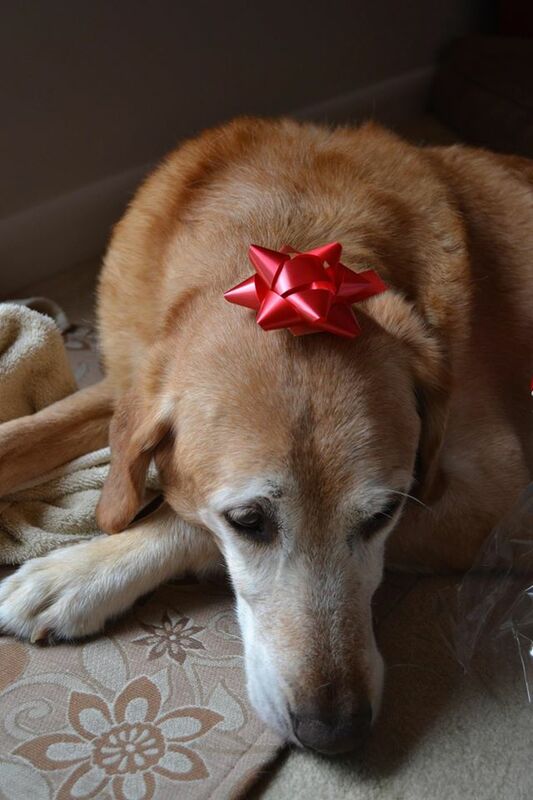 Daisy wasn't too happy with the red bow on her head. As 2015 comes to a close, I realize that this year has been about catching up. This is because I spent most of 2014 at the hospital. I feel that I lost so much time and felt the need to make up for it. However, I'm starting to understand that there's no such thing as lost or wasted time and that the months I've stayed at the hospital were an important and essential part in my journey to recovery and health. Survived Shingles in the beginning of the year: Although I'm still suffering from residual nerve pain, I am hopeful that soon all the pain will cease to exist. Earned my master's degree in International Affairs at Georgetown: Attending classes in between a full-time job and numerous blood transfusions made me think I'd never see the day I'd get my diploma. Graduation finally arrived in May and I was ecstatic and proud. Traveled to Tennessee, Ireland, France and the UK: In May, Kepi and I visited Ireland where I met my Iggy Sister Odette. Then we took my parents on a road trip to visit Elvis Presley's Graceland (Memphis), stayed at the Peabody Hotel and watched the famous Duck Parade, drove to Nashville where we explored the Country Music Hall of Fame and saw a concert at the Grand Ole Opry. In November, I finally realized my dream of taking my parents to Europe. We started our trip in the UK where we toured London, Stonehenge, Oxford and the Windsor Castle. We took the train to Paris and visited Versailles, enjoyed the city of Paris on foot through the Eiffel Tower, meeting Mona Lisa at the Louvre Museum, hoping to see Quasimodo at the Notredame Cathedral and wandered through the shops and Christmas Markets of Champs Elysees. Mom's Health: Although Mom suffered a stroke, she's still walking and talking. This last couple of months have been filled with her medical appointments, but I'm grateful that she's still with us and she continues to improve. I pray that next year, she'll regain her normal life and routine. Overall, 2015 was still a great year! You're back lady Kayni!!! Kinda an intense year for you.. Intense in travel and medical and that feeling of success in getting your diploma. I look forward to having mine soon as well!! Congratulations. The doggy doesnt look happy with the red, maybe she wants pink, instead. lol. Thank you, Ycocos! Wishing you an awesome 2016 as well. I am quite looking forward to 2016 and all the adventures it will bring. So many happenings in a year for you! Good luck and wishing you a more fruitful 2016! I envy that you travel to so many beautiful places. God bless! Hi Lei! Wishing you a wonderful 2016 as well. God bless! Oh wow...I didn't know Shingles could last that long. How scary! I'm going to have to get that Shingles shot as soon as it's available to me. I think some insurance doesn't pay for it, and it's an expensive shot, but it sounds like it's worth it. You've made some interesting trips. I hope your mother will continue to do well. I wish you and all you family (and Daisy) a wonderful new year. Thank you, Loree. I, too, keep hoping and praying Mama will recover and be healthy again. 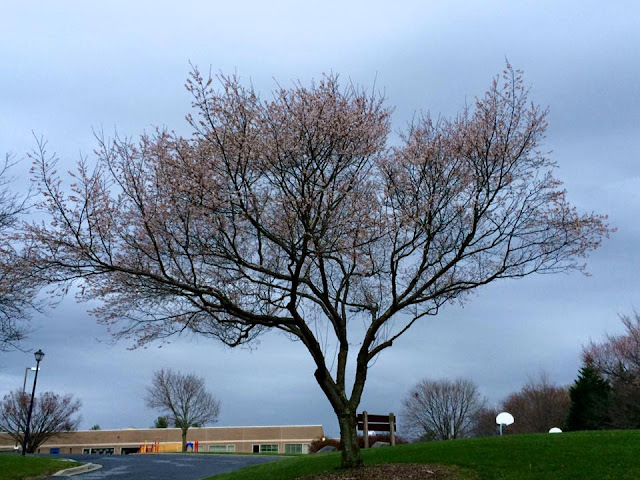 What lovely shots - and how amazing (if a little scary) to see the cherry blossoms in December. Thank you. It is quite strange to see Cherry Blossoms in December, but they're a beauty in this season of leafless trees. Hi Joy, Yes, it's been a trying year so far, but I believe things will get better this year. You had a wonderful 2015, may you have a colorful 2016 too!